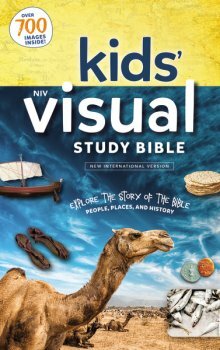 It just so happens that I received my copy of NIV KIDS VISUAL STUDY BIBLE as I was getting ready to study my Sabbath School lesson- so I used it. Of course Zondervan published this Bible for children between the ages of 8 to 12 but God’s word is God’s word. The assumption is that around 8 years of age young people should be able to read God’s word and not an overview as you see with many children’s Bible. The NIV KIDS VISUAL STUDY BIBLE is a graduation of sorts for many young people however the pictures make it fun and the explanations / commentaries were easy to understand. I knew that but I didn’t know that! This explanation brought clarity to a verse that I have often read but rarely meditated on. Leviathan This was a mthological sea monster. Here, it is a symbol of wicked nations such as Egypt. Why is this important? Because this study Bible is designed for children but it is actually informative enough that grown-ups could use it. Yes; there are tables, charts and maps. This is indeed a great Bible.